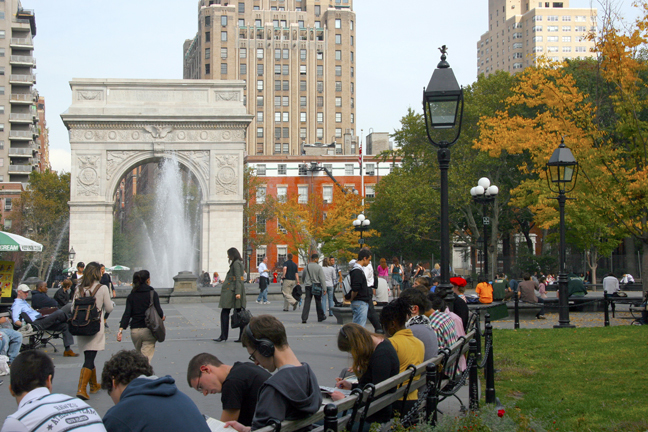 With an extensive range of initiatives and programs, CLACS at NYU has something for everyone. 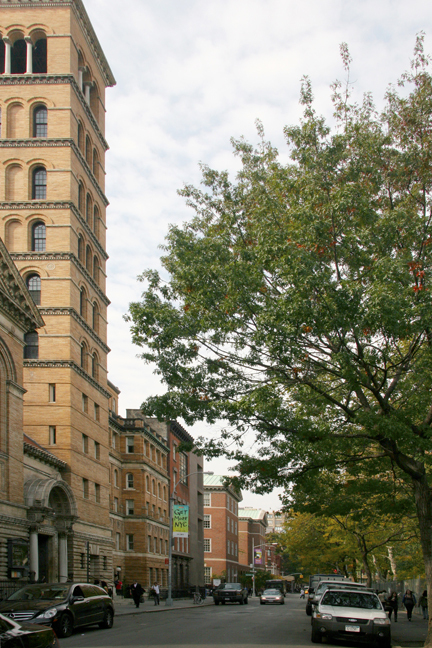 Situated on Washington Square Park, CLACS is located in the King Juan Carlos I of Spain Center, housed in the historic Judson Hall building (1888-1893). A leader in both the academic and public spheres, we strive to open channels of communication and we encourage the sharing of ideas and knowledge across disciplinary boundaries and sectors of our global society. We encourage you to continue learning about the many ways that you can become involved with CLACS. 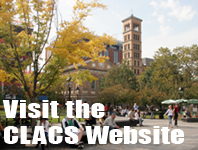 As a center within a larger academic institution, CLACS has many opportunities for faculty members and students. Our center is a home for a small core of dedicated CLACS faculty and a touchstone for approximately 130 affiliated faculty in 20 departments in Arts and Science as well as 8 professional schools, with special depth at the border between the social sciences and humanities and in the Andean, Brazilian, Iberian Atlantic and Caribbean regions. 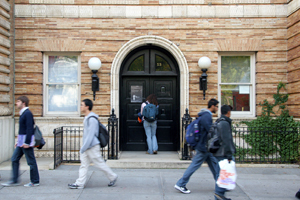 A real scholarship at NYU is especially deep at the border between the humanities and the social sciences, where literature, music, the arts, and communicative media find their context in embodied social experience. Center faculty have expertise in cultural policy, performance, memory and heritage, narrative, indigenous social movements, race and nationalism, neoliberal policies and movements opposing them, populism, migration and social justice, and the study of urban life. We also run an exciting visiting scholar program, inviting faculty from around the world to participate in our campus and city-wide activities. Affiliated faculty have the opportunity to apply for faculty grants, which can be used to support a research project or to launch a faculty working group. CLACS celebrates the work of affiliated faculty members through the center’s blog and newsletters. CLACS also offers an interdisciplinary MA program which allows students to design a degree that fulfills their specific interests. Our students have access to our affiliated faculty members, with a diverse range of specialties. Multiple joint degree programs are also available, allowing students to combine their academic interests and graduate with two degrees. Foreign Language and Area Studies fellowships (FLAS) offer our students an opportunity to incorporate lesser taught languages of the Americas into their studies. CLACS students also take advantage of a wide array of for-credit internship programs, which provide relevant professional experience and networking opportunities. Often supported by student grant awards, CLACS students are encouraged to travel abroad during the summer for research for their Master’s or pre-dissertation projects. 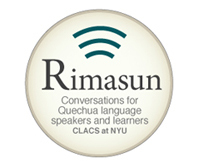 We reach well beyond NYU to increase visibility of Latin American and Caribbean-related issues and languages, which is why CLACS (jointly with Columbia University’s Institute for Latin American Studies) is consistently recognized as a designated Title VI National Resource Center (NRC) by the US Department of Education. We are a leader in innovative training and outreach programs aimed at primary and secondary education, as well as post-secondary institutions based in the New York area. Working with K-12 teachers, we develop curriculum that incorporates ground-breaking research on the region and packages it in an age-appropriate manner. Reaching out to the general public, CLACS produces a diverse series of events that aim to engage and educate participants. Rather than simply providing a window through which North Americans may observe Latin America and the Caribbean, our center seeks to create a vast network of exchange and connection. This is especially appropriate for an institution located in New York City, a cosmopolitan hub of migration, communications, and decision-making involving and directly affecting Latin America and the Caribbean.